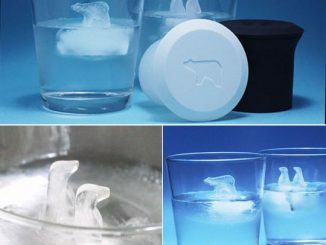 There are so many ways to turn ice into exciting shapes. 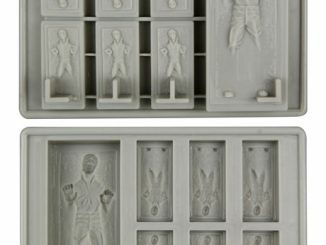 Maybe you’ve seen the ice cube trays featured on GA, such as the latest posts on the Stone Cold Moai Statue, Yellow Submarine, Handgun, AK47 Bullet, Ice Attacks, and Chill Pill Ice Cube Trays. 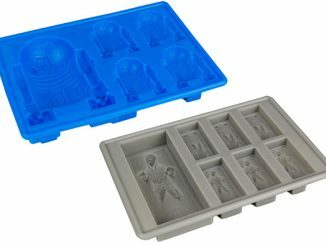 All of those are made possible by adding water to silicone trays, then sticking the trays into the ice box. 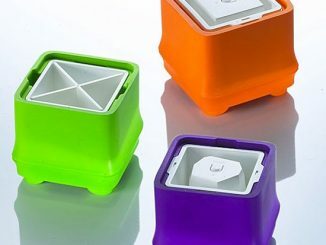 But this Ice Ball Maker (Mini Version) is quite a different contraption that shapes your ice cubes outside of the freezer, all thanks to aluminum’s excellent thermal conductivity. 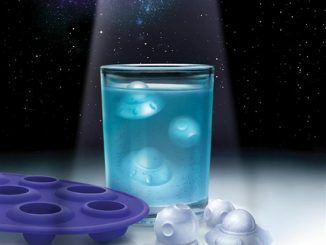 The Ice Ball Maker requires ready-made ice cubes to start. 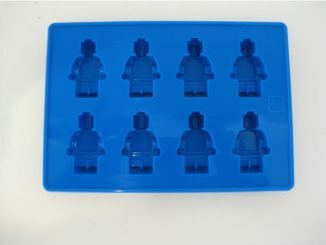 I imagine that regular old block ice cubes would do. 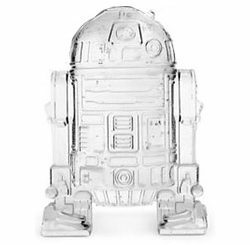 Once the aluminum ice maker is heated in hot water, you place a normal ice cube into its special chamber. It then gets molded into the shape of choice as the top drops down to completion. 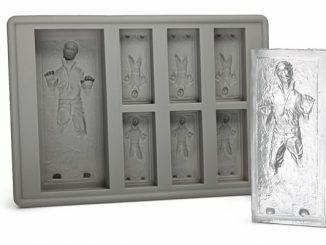 Kinda reminds me of Han Solo getting preserved in carbonite… Oh yeah, we have a post on the Han Solo Carbonite Ice Cube Tray, too. 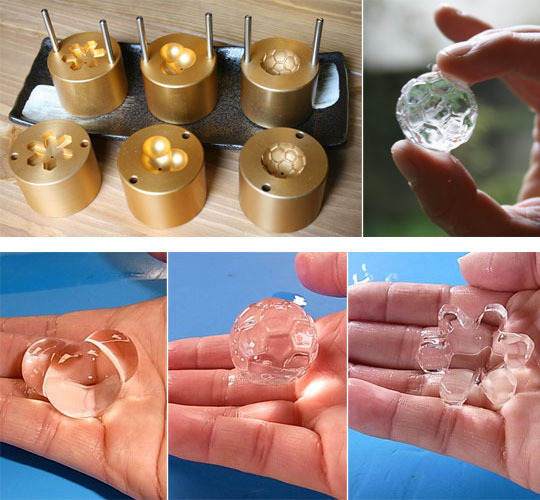 The choices of Ice Ball Makers to choose from are: the smooth and perfect ice ball sphere, the elegant snowflake, the sporty soccer ball, or the geeky water molecule maker (or Mickey Mouse). While you’re busy making drinks, put your friends to work and have them make snazzy ice shapes for everyone. 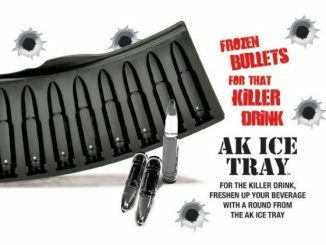 They will feel like mad scientist/ice sculptors using a serious piece of equipment. 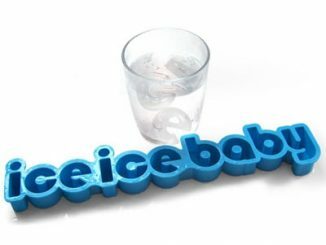 For science teachers, the Ice Ball Maker could be a fun class demonstration to teach kids about the properties of metal, water, energy, etc. 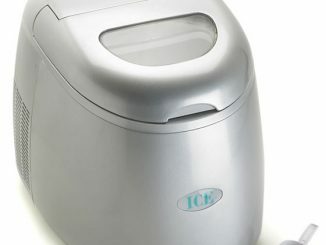 The Ice Ball Maker Mini Version is available at Japan Trend Shop for $210 US each. 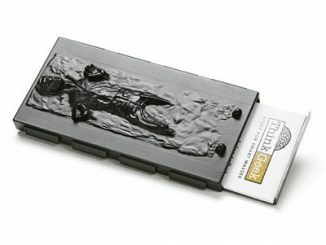 Watch the video to see how easy it really is to do.